Having a Tee-totaller around the house, as the VV does from time to time, can lead to a sense of moral inadequacy, when a lack of control and rectitude by those of us who do indulge leads to being fixed in the pious stare of HE who remains cold stone sober. Joseph Livesey - who doesn't look like fun! Others came to think that the ‘Tee’ is simply a way of accentuating the T in Total; a way of stressing the meaning yet more. 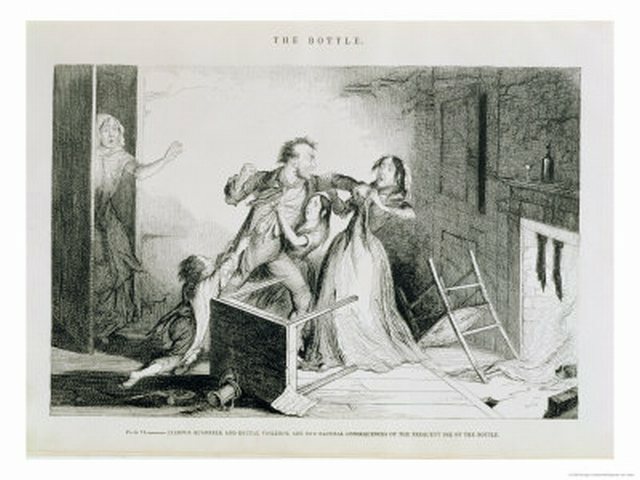 And, there is also the idea that it stood for the T in Temperance – the letter written after the signature of any who swore to uphold the pledge – although when the movement reached Australia in the mid 1830’s, its followers preferred to advocate moderation, rather than absolute abstinence. 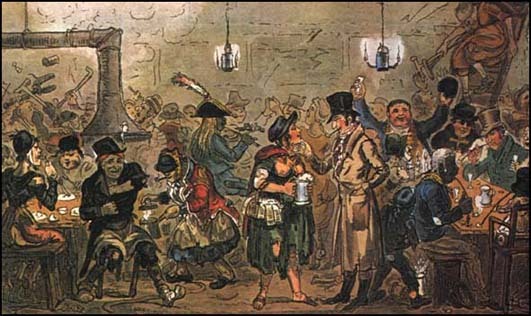 And, in later years, the Quakers and Salvation Army would also march under the Temperance banner and lobby parliament for restrictions on the sale of alcohol, seeing in their charitable work on the streets the terrible harm that addiction caused. 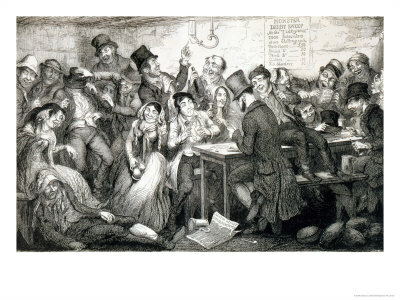 The artist, George Cruikshank who had watched his own father die of alcoholism was an ardent follower of Temperance, producing several books on the subject in an attempt at education. These included titles such as ‘The Bottle’ (1847), ‘The Drunkard’s Children (1848), and The Worship of Bacchus (1862). 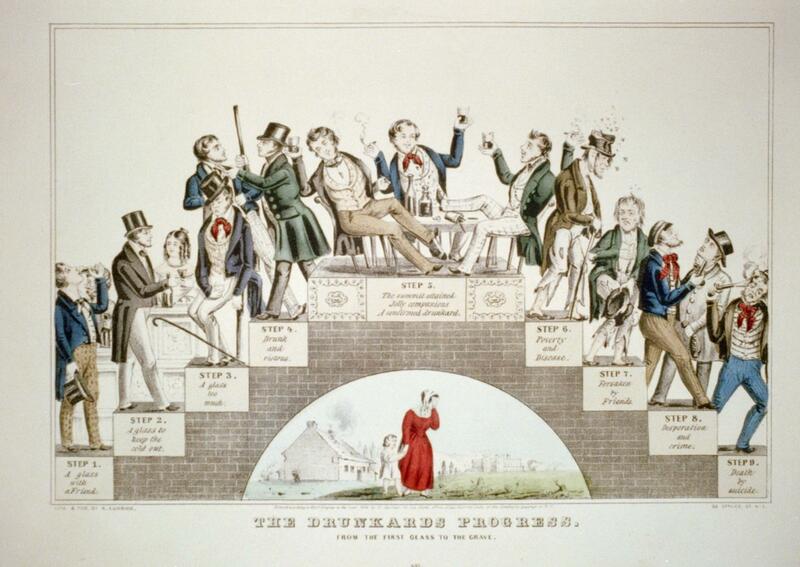 Religious believers played a great part in the Temperance Movement. The Catholic priest, Theobald Matthew, managed to persuade thousands of people to sign the Pledge in Ireland. The Non-Conformist Movement was against the use of alcohol and, in 1886, of 1,900 Baptist ministers 1,000 claimed to be total abstainers. George Sims - who looks a little sozzled! And let that be a warning to us all! As a final note, the VV would like to share her non-alcoholic version of the lovely summer cocktail ‘Pimms’ – basically chop up your cucumber, strawberries, apples, lemons, oranges and mint etc, and then place it in some iced lemonade, BUT rather than adding Pimms to the brew, simply infuse a few drops of good Balsamic vinegar. It really is an excellent substitute though, as many will ask, I’m sure – what on earth is the point of that? 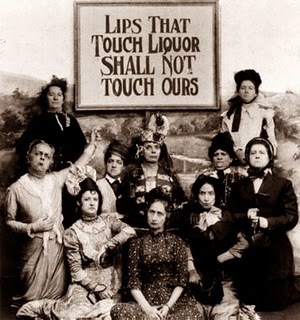 It was never surprising that religious and social groups would get involved in late 19th century temperance movements. They could see the grinding poverty and disruption to family life caused by booze. 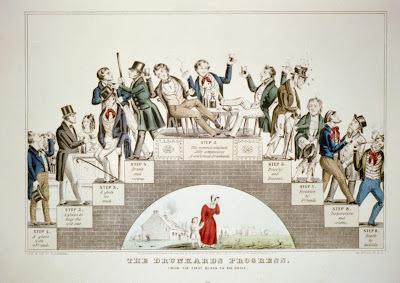 So when the Quakers and Salvation Army etc marched under the Temperance banner and lobbied parliament for restrictions on the sale of alcohol, it seemed very sensible. But what was more surprising was that these stout and serious women (sic) seemed to enjoy the political fray and later moved on to other good causes that had nothing to do with alcohol eg universal suffrage or the peace movement. "I have that [lead] picture". "It's in my files here, across the pond." I love researching history. The stuff you find is incredible, and not to be believed without newspaper accounts and pictures. I delight in reading your well researched posts. Thank you, Hels - as always another lead to follow and thought-provoking response. And also thank to Helen. So pleased that you are enjoying the posts. Ahh, this reminds me of my childhood in the South. I grew up in a "dry" county in a small town in the States. Preachers climbed ladders and sang from hymnals about the horrors of alcohol. They waved their Bibles on voting days as our town voted for "wet" status without success. Oh, yes, those were the days. We had no gin palaces, but instead, risked arrest as we did brisk business with the bootleggers. Kate - what a wonderul picture you paint - you have to write about that! We live near Mr Fitzpatrick’s, Britain’s last original temperance bar. It's a beautiful Victorian building situated in the old industrial town of Rawtenstall in the centre of the Rossendale, Lancashire. Joseph Livesey's grave is in our cemetery in Preston Lancashire, along with John Proffitt, Thomas Swindlehurst and a monument to Edward Grubb. Thank you Crow and Alice - I must look that up. Interesting that they made an exception for alcohol as medicine, which must have created a nice little conscious loophole for a lot of people. Doctors were always prescribing brandy etc, I suppose for lack of effective painkillers. I've been looking at lots of early whisky adds lately and quite a few take the 'health tonic' line, just to make it more acceptable. And then you have all those really quite strong drinks like Sanatogen, which people like my grandmother used to knock back on the grounds it wasn't really drinking. Great to see the virtues of the balsamic mock Pimms espoused. I love this but always make it too strong because stupidly I put the vinegar in first. Your method is a revelation. Hello Fictionwitch - Thank you! And,yes - whisky very medicinal. And laudanum too! 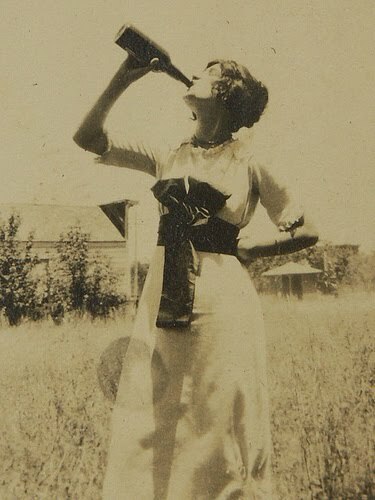 Also, meant to say I love the photograph at the end of the girl with the velvet sash swigging from the bottle. She is definitely one of my characters. Ha ha - I like to think she's me!